Nigerias Minister of Information and Culture, Lai Muhammed has come under heavy criticism since he announced that Federal Government has concluded plans to ban local movies and music production abroad. 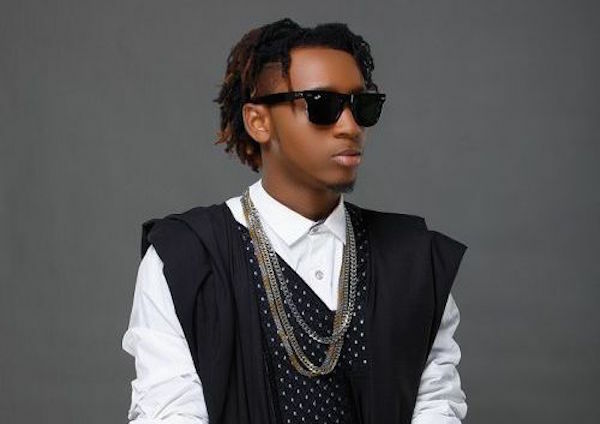 Many celebrities and concerned citizens has expressed their thought and frustration, ranging from Charley Boy, Peter Okoye, Paul Okoye, Jude Okoye and the lates being Nigeria Rapper Yung6ix. H asked Lai Mohammed, to tell Nigerians where his family members are currently receiving education before he can tell them not to shoot videos abroad. “Dear Sir lai mohammed, please address us and let the world know where your family members are currently studying. Justify your wicked acts. In a country that is supposed to be run by leaders it's heartbreaking to see that it is been run by looters. “In a whole country we can't even find one credible politician to stand for the people. 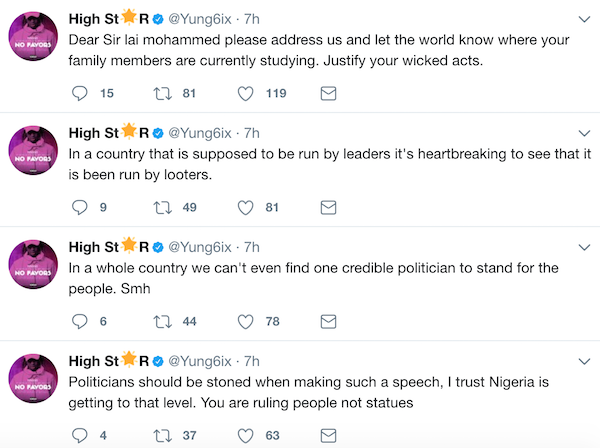 Politicians should be stoned when making such a speech, I trust Nigeria is getting to that level. You are ruling people not statues. “As we can clearly see he is. It currently capable of doing anything reasonable yet. Nigeria is been run like a private firm. You become a director and employ your friends steal what you want and leave. Smh Lai Mohammed seeking relevance in the wrong way. You and your government have failed our people with your countless demising moves. Shaking my head,” he wrote.